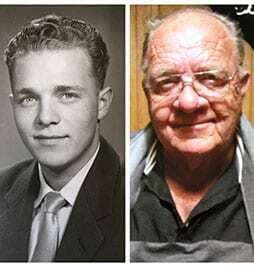 Keith Lloyd Nicholson - Edmonton's Burial & Cremation Professionals | Trinity Funeral Home Ltd.
After a long battle with dementia, Keith passed away peacefully April 6, 2019 at the age of 86. He will lovingly be remembered by his wife Stephanie (Stevie), children Lorri (Bruce Dickson) and Byron (Belinda), grandchildren Keith, Andrew (Kayla), Paige, Stephanie, Julia, and great- grandson Cooper. No funeral by request. Special thanks to Dr. Fiorino, Peter Birzgalis and his caring staff at Venta Care Centre. I just received word of Keith’s passing. I’m so very sorry for your loss. I have so many happy memories of Keith at the lake. Be good to yourselves.